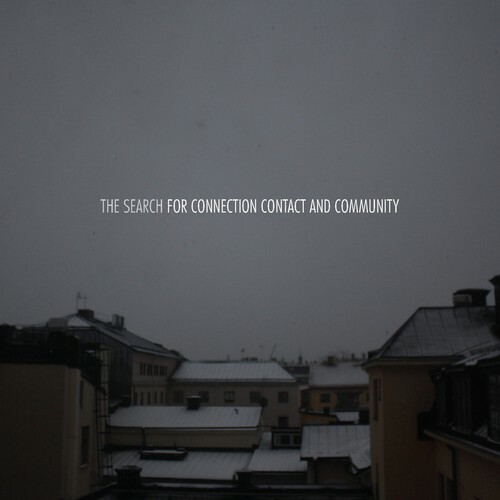 What THE SEARCH from Uppsala on "The Search for Connection Contact and Community" deliver, is finest Indie pop laced with Rock, which, without any problems, is at home in the same league as Shout Out Louds, The Mary Onettes, Jeniferever and others. Light-footed and full of enjoyment the guitars and keyboards relaxing dance through the room. But always looking out for solid leg work and never losing the grip to the ground of drums and bass. So the manual and technical experienced ensemble is following the melancholic voice of the singer without drifting away into exaggerated gloom. THE SEARCH especially show the courage to the emotion, to the eally huge feeling, but without getting lost in kitsch. The Swedes also can switch to attack and pull through some straight rock riffs. Everytime, when oneself gets spun into the melody's beauty and the silent melancholy. "The Search for Connection Contact and Community" is a solid, slightly dark pop album, without skirmish, without twirls, but brilliant in it's creative interplay and touching in its elegiac emotions. Beyond hilarious chart songs, dummy elevator music and cloned plastic music, THE SEARCH show, that sweden comes up with awesome indie pop once more. Because life is too short for boredom.